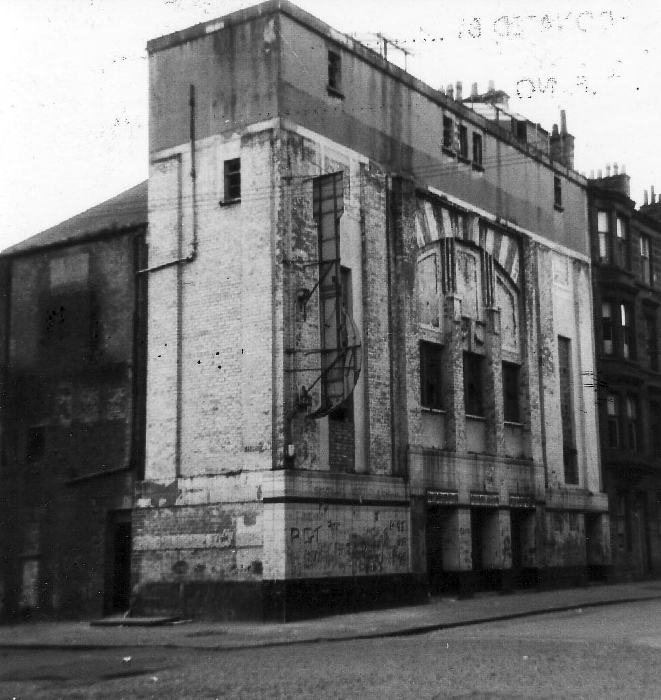 Opened in December 1916 by Caledon Pictures Ltd, and designed by AV Gardner to seat 1,121. The plans included a large glass corner tower feature, though it's unclear if this was ever built, as owing to War-time restrictions, the owners were told they could only put the roof on the building and then to stop work. Work carried on regardless, and the interior was finished - causing a fine of £100 for completing the building without a Licence from the Ministry of Munitions. Building was extended (and the facade refaced) by Gardner in 1931/2. Closed in March 1959. Bingo (as the Vogue) from 1967-70. Demolished in June 1976. Photo courtesy of the Cinema Theatre Association archive. Another photo, of the side of the building, is available here.